In the beginning they were the amiibo, now they are i Totaku: Sony has indeed decided to produce some mini action figures which represent some videogame icons of history PlayStation, although others may come in the future. 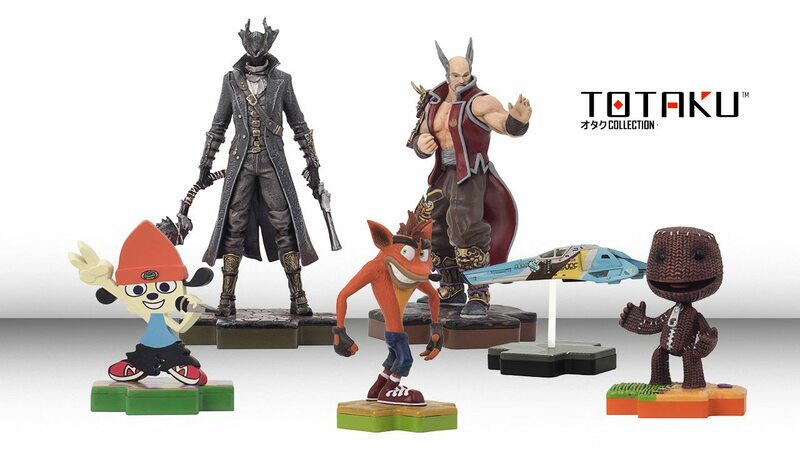 The Totaku, unlike the amiibo, they will not have any useful function in game not having NFC chips inside them; they are simply gods collectible items therefore dedicated to fans of PlayStation games. The first series, as you can see from the image, will be composed of six pieces: we will have the Cacciatore di Bloodborne, Crash Bandicoot of the homonymous series and back in vogue with Crash Bandicoot N'Sane Trilogy, Heihachi di Tekken, PaRappa the Rapper, Sackboy di LittleBigPlanet and Feisar shuttle di Wipeout. Excellent value for money, given that in the American market this will be set at dollars 9,99; we hope that in Italy we will also have the Totaku at such a convenient price.